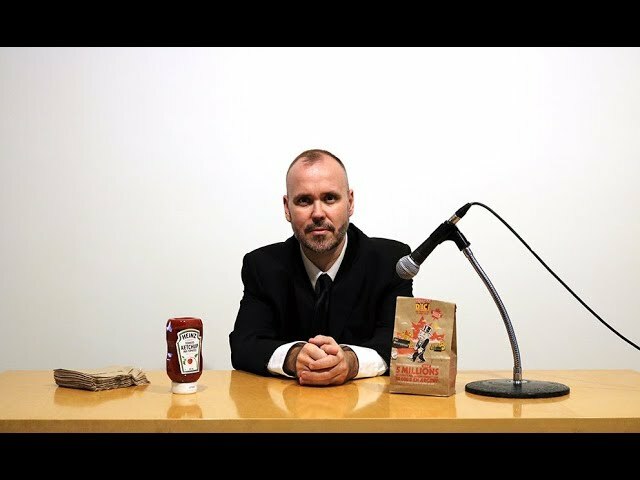 This work is a continuation of the work Steve Giasson Eats A Hamburger (After Bismuth After Warhol) (2013), made five earlier. 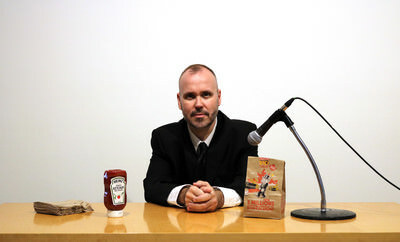 It is indeed a reenactment of a performance of Pierre Bismuth eating a hamburger, reactivating himself a video taken from Jørgen Leth's documentary "66 scener fra Amerika" (1982), in which Andy Warhol eats a hamburger. Each gesture made by Bismuth (reenacting Andy Warhol) is replicated as precisely as possible by Steve Giasson, as if it were a choreographic score.